When it comes to interior design, few things are as beautiful as the look of natural wood. This trend in decorating has always been somewhat popular due to the fact that it is eco-friendly, versatile and will never go out of style. Depending on how you use it, wood can create a rustic feel or give off an air of elegance. Either way, wood will make your home feel warm and inviting. 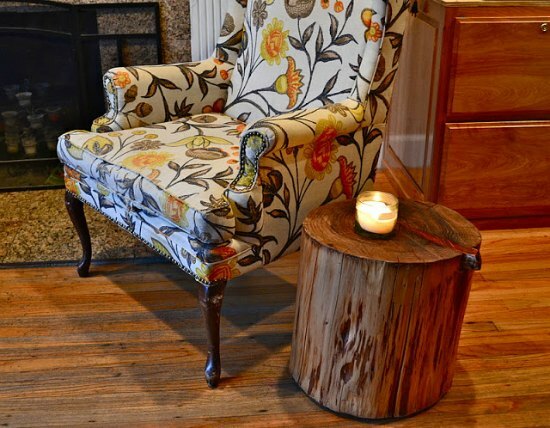 If you’re seeking that rustic, cabin-like feel, consider using two sawed-off tree logs as end tables for your living room couch. Whether you attempt this project yourself or purchase the finished product from a wood artisan, you will be sure to love them. If you want a very rustic look, leave the tables plain. If you want something a little more elegant, consider topping them with glass. A wood-paneled headboard can easily be made using old fence boards or other weathered lumber. You have many options to create the look you want, from staining the wood a darker shade to painting it a color and then sanding some of it away. Even a small headboard can brighten up the room and provide a focal point above your bed, making you feel like you are in a cabin instead of a city apartment or house. 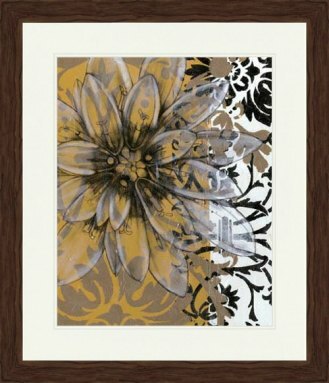 Using a wooden frame for your favorite artwork will bring out the warm colors in the painting. For a fun do-it-yourself project, purchase a simple, unfinished wooden frame and glue on a variety of small sticks and branches from your yard or the nearby woods. If you want a more refined look, search for an elegant piece with a sanded-smooth surface, a beautiful finish or intricate carvings. Sites like www.artismo.com feature massive displays of wood framed artwork, making framed selections easily accessible to all. When it comes to interior decorating with natural materials, few things are as popular as building furniture with driftwood. Many different artisans have taken to using driftwood for home design elements including picture frames, tables, and even chairs and couches. The best thing about driftwood items is that they are all completely unique. If you want to add a touch of wood without splurging on a large item like a table or couch, consider using smaller items to accent the design theme that you already have in place. A simple wooden crate can be nailed to the wall and double as a shelf. A fence plank can be sawed into pieces to create a canvas for a painted sign. 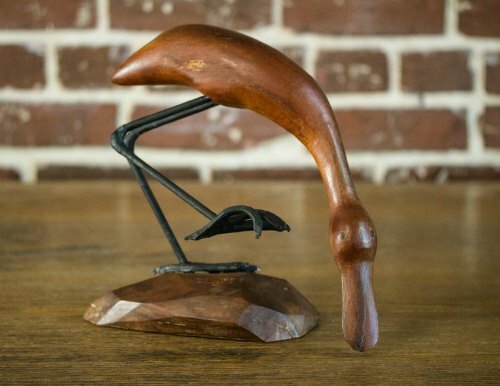 Or, if you are looking for a less-rustic wooden look, try placing a sleekly carved wooden sculpture on a metal or glass table. It will bring out the warm colors in your room without removing any of the elegance. It’s amazing how something as simple as a few wooden pieces can change up the look and feel of your home. Don’t be afraid to get creative. Mix different types of wood together to cultivate that warm and cozy feeling.